1. Install the proper operating system and name the new server with the same name as the lost server. Recovery won’t succeed if the server on which recovery is being performed doesn’t have the same name as the lost server. 2. Join the server to the same domain as the lost server. For additional background information, see KB982867 – WCF: Enable WebHeader settings on the RST/SCT. For the available downloads, see KB982867 – WCF: Enable WebHeader settings on the RST/SCT. For additional background information, see KB983440 – Win7 rollup package (PR for QFE 810219). For the available downloads, see KB983440 – Win7 rollup package (PR for QFE 810219). During normal working hours users randomly was unable to access their mailboxes when they launched their Outlook client. The following Outlook message appeared. Or users have issues opening Shared Calendars. 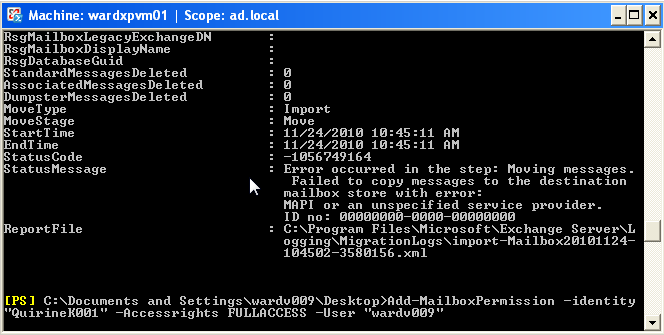 Today the Exchange Team released Rollup 2 for Exchange Server 2010 Service Pack 1 (KB2425179). 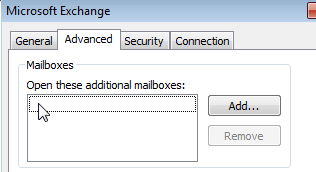 This update raises Exchange 2010 version number to 14.1.270.1. After installing Rollup 1 for Exchange 2007 SP3 IMAP is now serving most text/plain parts as text/html instead. I had some issue with a simple mail import tool that now imported all mail with html codes. Before the rollup 1 they were previously multipart/alternative messages with both text/plain and text/html subparts. In the work pane, click the POP3 and IMAP4 tab. In the work pane, select IMAP4 and then, in the result pane, click Properties. On the IMAP4 Properties page, click the Retrieval Settings tab. Click Apply, and then click OK to save your changes. Add-MailboxPermission -identity "user" -Accessrights FULLACCESS -User "yourusername"
When you want to import some pst’s you need some rights from doing this. This is a one time setting. 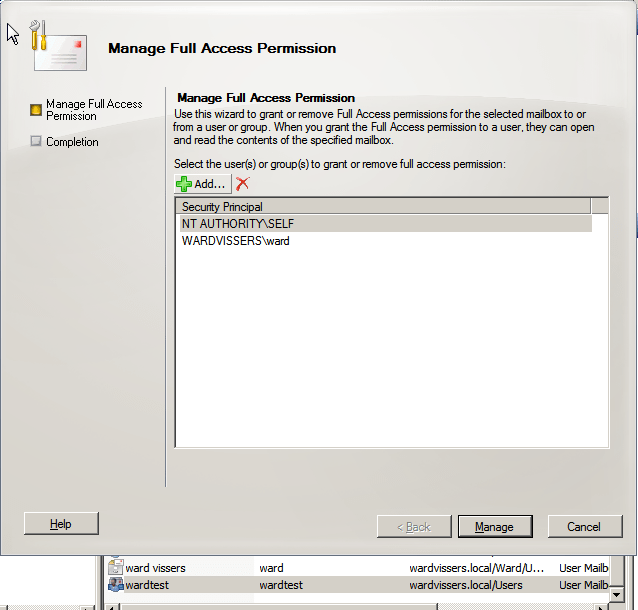 When you set full access permissions with the Exchange 2010 management console on a mailbox,the user which has be giving full access right now there will filed a new property. The property is MSExchDelegateListLink. You can check it with adsiedit. 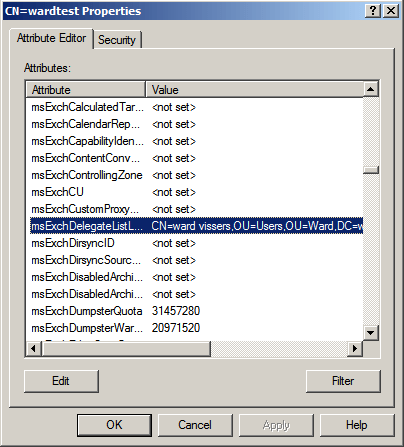 Use dis script to set the MSExchDelegateListLink object automatically. Test I first. It’s your own risk. If your are an Exchange Admin I can recommend the following book Microsoft Exchange Server 2010 Best Practices. It covers SP1. It contains the following Chapters. This book is also not a preparation guide for Exam 70-662: TS: Microsoft Exchange Server 2010, Configuring, or Exam 70-663: Pro: Designing and Deploying Messaging Solutions with Microsoft Exchange Server 2010, even though when you apply the knowledge and experience covered in this book, it will help you to pass these exams. Microsoft released Rollup 1 for Exchange Server 2010 SP1 that fixes the following things.